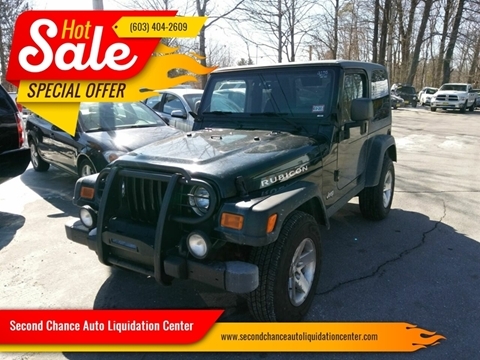 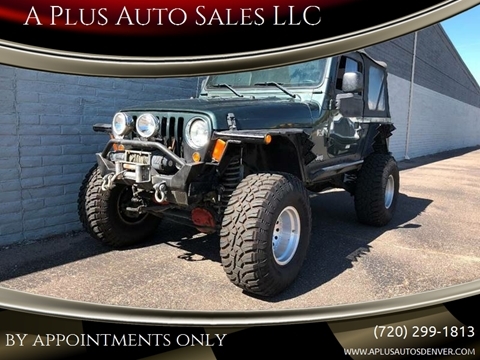 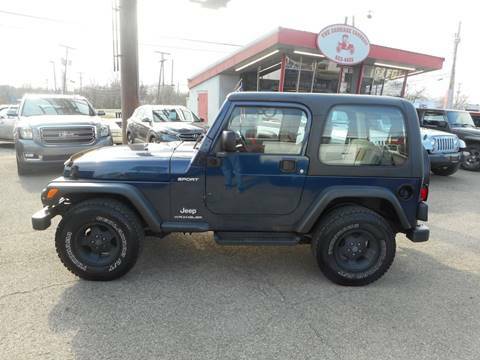 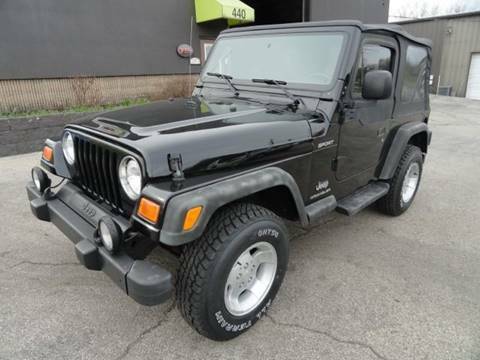 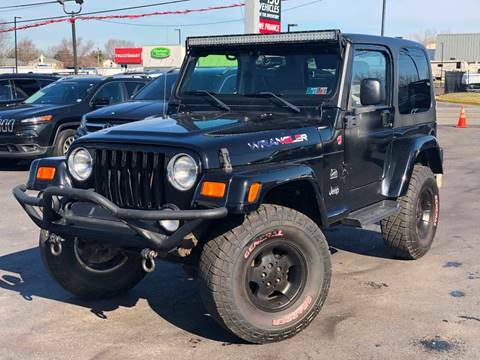 PA Cars and Trucks Inc.
2003 JEEP WRANGLER SAHARA 4WD 4.0 LITER GAS ENGINE engine. 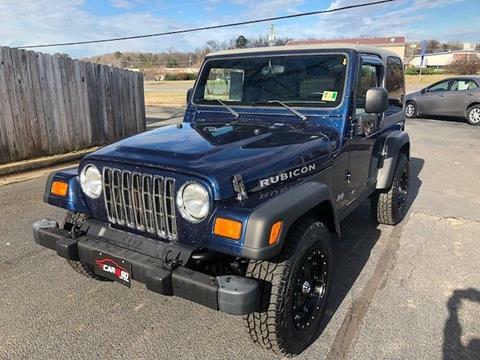 Visit PA Cars and Trucks in Morrisville PA. We are minutes away from Philadelphia PA, Trenton NJ, Fairless Hills NJ, Bucks county PA, Bensalem PA.
One Owner! 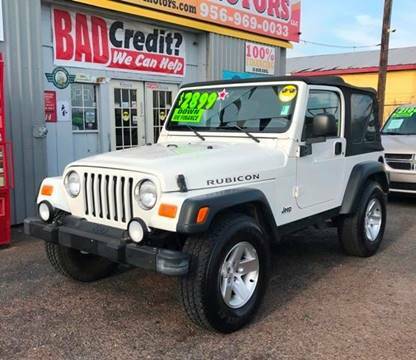 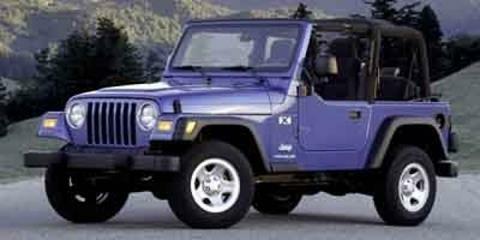 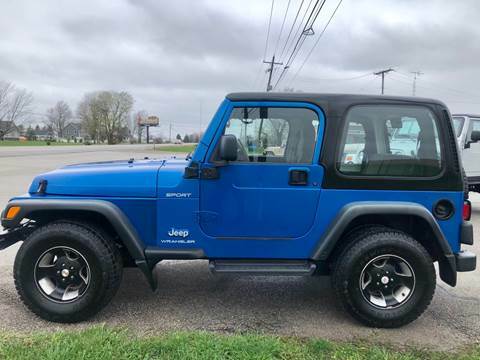 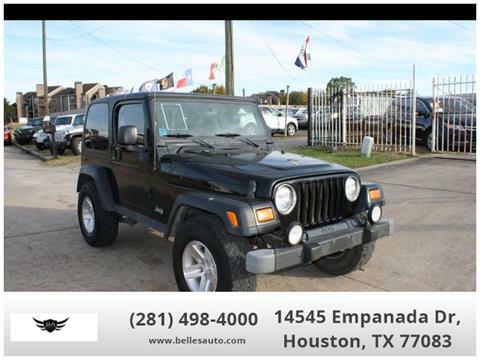 2003 Jeep Wrangler SE. 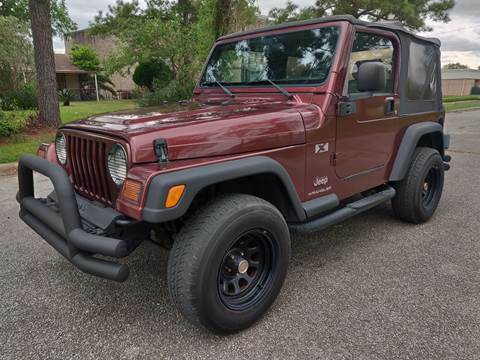 2.4L Four Cyl., 5 Speed with 106,000 miles. 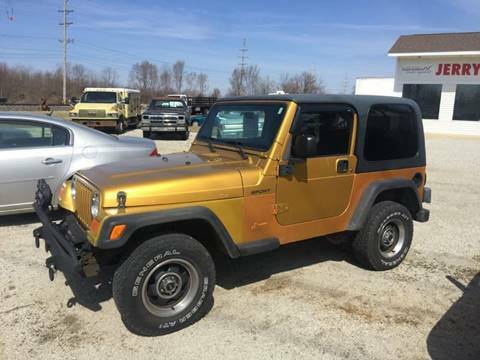 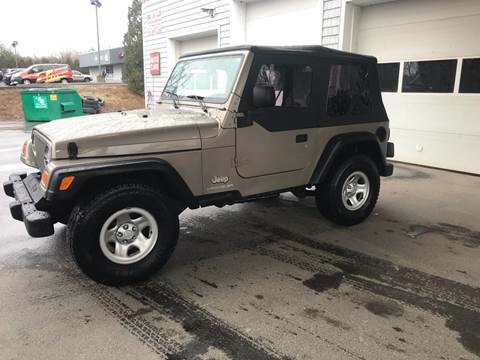 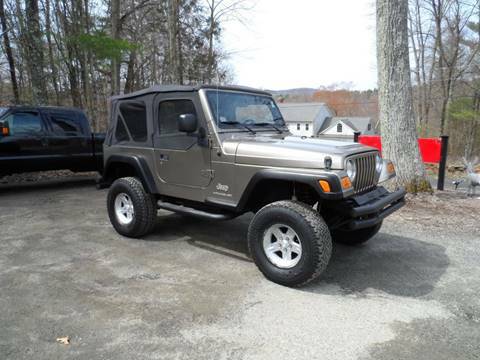 Nice clean Jeep with CD, Soft Top with Half doors and 3" Lift. 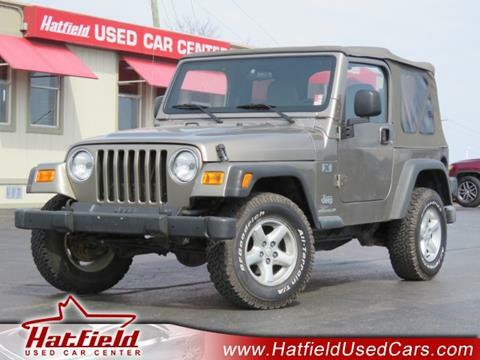 It runs and drives great and has a clean Carfax.